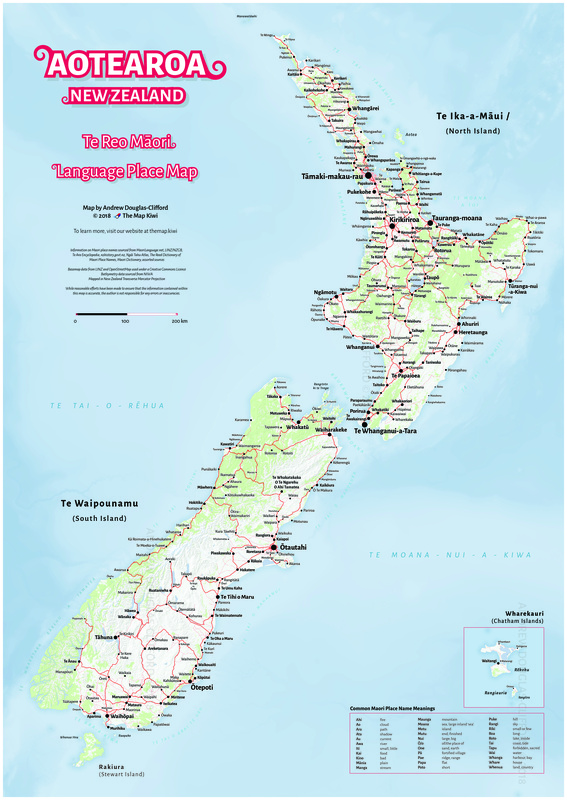 As part of the 7 day cartography challenge last year, I created two maps showing Te Reo Māori names of towns and cities names across Aotearoa/New Zealand which were well received. Naturally, I wanted to improve the maps by researching the spelling of place names further to ensure they were accurate, and to spend more time fine tuning the design of the map. Check out the finished product below (full image). You can get a print copy of the map from the store, or check out my interactive version! Names are complex, so there are likely places that have alternate or more correct spelling. While there has been reasonable effort to ensure the place names used on the map are accurate, there may be inaccuracies present. In any case, if you have local knowledge of the Māori names in your area and would like to suggest a correction, feel free to get in touch and let me know. Thank you to everyone who has already made these suggestions to me! We are an importer / distributor and would like to speak with you. Please phone us 0800 24 88 24. Ka mau te wehi Andrew! I want to get this for my son for his birthday but I wanted to get it made into a wall dot as I thought it would be easier for him. Am I able to get a digital image sent to a place I have found in Dunedin who can do this for me? Hi Andrew, I am a student working on my master degree. Can I cite your map in my thesis? Any plans to create a resource for awa raua ko roto? Congratulations on the release of this map Andrew. There is a real need for printable A4/A3 size maps for NZ Schools, if you’re ever in a philanthropic mood I’d be keen to support its distribution.